Last month, former foster youth who have spent the summer interning for Congress through the Congressional Coalition on Adoption Institute and the Sara Start Fund came to the Phillips for lunch and a tour. Intern Derrick Riggins shares his impressions in prose, while intern and photographer Linda Lee Zambito provides snapshots from the visit. 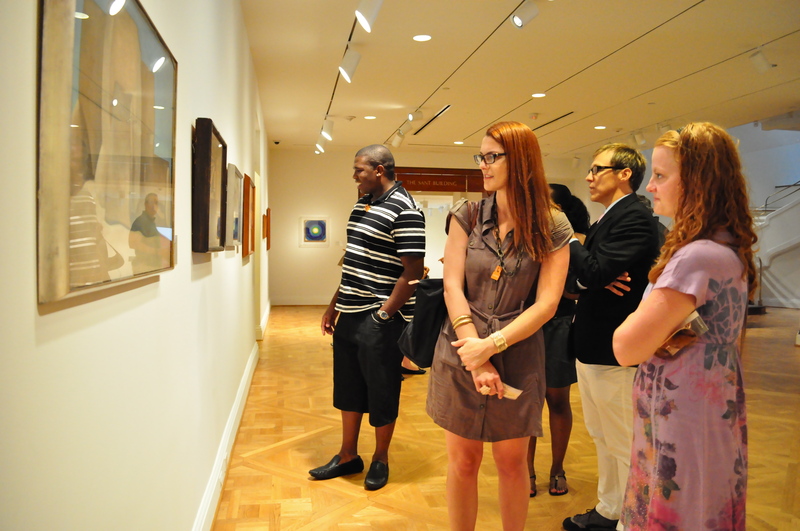 On July 16, The Phillips Collection blessed me as well as several other interns with a tour of its permanent collection. We all had a truly good time, but this was my first time really paying attention to the artwork and learning its history. I learned that art is truly an expression of how a person feels and, if we do our research, it often tells stories. I had two favorite pieces in particular one being Arthur Dove’s Goin’ Fishin’ (1925), which uses bamboo, denim shirt sleeves, and leaves to form the bottom of a boat. Just looking at it you couldn’t tell what it was, but as the explanation unfolded we discovered what it was and the history it represented. It made a lot of sense and truly is a wonderful piece. My second favorite artwork was Seal by Morris Louis, made in 1959. I think it has wonderful colors and is just a wonderful art piece. When you look at it, it’s hard not to be drawn to the size and the beautiful colors that are on display. I have to say also that the lunch picture, Luncheon of the Boating Party, by Renoir was great. It was amazing to see that people were having a good time in the picture. I learned that each thing in an artwork truly has a reason and a purpose. For example, in the foreground of the picture a woman is holding a small black dog. Did you know that the dog is a symbol when used in art? It depicts loyalty — fido — fidelity. That picture, like so many others, was rich in detail and truly told a story. Having the opportunity to tour and share lunch at the museum was special. I am truly thankful and would like to say thank you so much for opening my eyes, ears, and mind to how amazing art can truly be. This entry was posted in Experiment Station and tagged Arthur Dove, Congress, Foster Youth Interns, Morris Louis. Bookmark the permalink. I had no idea such an intern program existed. Thanks for writing about your experience at the museum and making me aware of your advocacy group. 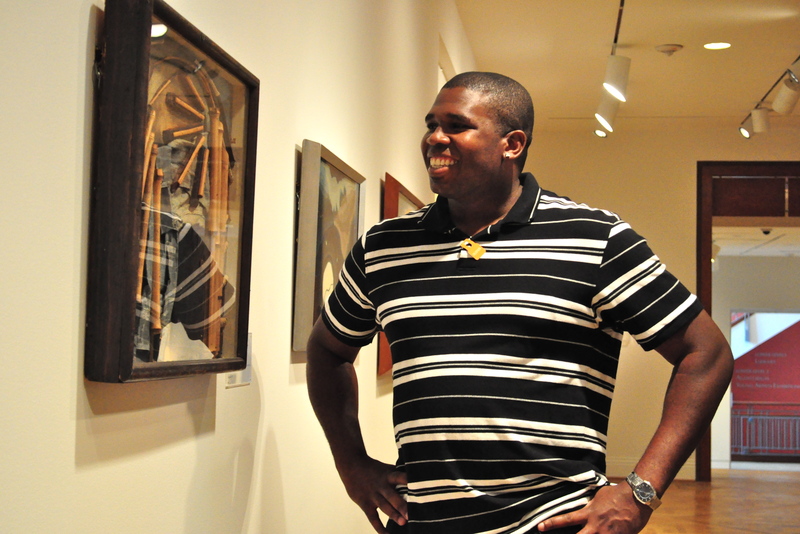 Derrick, I hope you’ll come back to the museum and explore more works of art. It was a pleasure to spend part of the afternoon with you and your colleagues.